It takes energy to make energy – and that’s why our mental and physical laziness eventually leads to atrophy. The first step in atrophy is the body’s inefficiency to burn fat, leading to toxic fat – which is a major organic pollutant– which further inhibits the body from performing its natural function of regeneration of muscle mass and supplying energy. I am not a medical doctor, and I have not collected the scientific data to prove on a molecular level how degeneration takes place. However, I do see the empirical effects of diet and exercise on a daily basis. This is what I see. The build up of toxins shows up in both the body and mind. Lethargy and depression are common in people whose systems are overworked with the process of storing and maintaining fat. Because I burn most all of my daily food-fuel, I sleep only 3-5 hours a night. I don’t need more sleep because my body metabolism is so efficient, and I don’t have all the pollution in my system. Therefore, my body doesn’t need to expend as much energy in constant detoxing. Constant digestion is a result of both overeating and improper diet. Digestion requires a significant amount of energy – which is thereby not available for metabolic efficiency. If your body can’t process enough toxins (in order to cleanse and heal itself), the body can’t be efficient at sustaining and re-creating itself. Thus, due to compromised systems, most people reach a state of atrophy well before their natural time. When the blood, lymph nodes, and tissues of the body become toxic, the entire body is under stress. 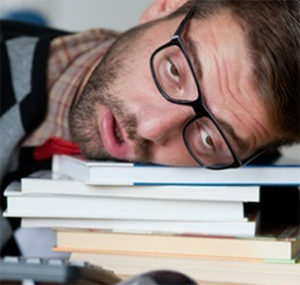 Tiredness and sluggishness are symptoms of the onset of this internal bodily stress. This negative physical state directly affects one’s mental and emotional condition, and this shows up as confliction, confusion, depression, lack of will power, and lack of creativity (which is a major concern of employers in the workplace). When we need to heal ourselves of toxins, we sometimes create a fever in order to burn impurities in the system. Inflammation is the body’s most intense effort to cleanse itself. The root “itis” means inflammation. It’s kind of like smelling salts – even an unconscious person will wake up when smelling salts are used because the salts are such powerful irritants. Pain is the body’s most effective warning sign. Inflammation, if unhealed, over time doesn’t allow the cells to communicate. This is what cancer is. Medical science is now recognizing that 80-90% of diseases come through internal and external environmental toxins. Cancer is not primarily genetic. Actually, life is only one thing – a controlled state of disease. If the body controls its constituent systems, one can live a happy and healthy life right up to the time of “natural” death. If our control mechanism fails, we lapse into disease and begin the slow-but-steady spiral downward into unnatural and premature death. Disease never sneaks up and strikes us down. It takes a long time of neglect and repeated abuse of the body before disease takes over. Each stage progresses slowly and in a predictable manner. We can be in one of the stages of disease for weeks, months, or even years before we progress to the next stage. At any time during the first six stages, if the cause is stopped then the disease subsides and our health returns to normal. If drugs are used to stop the pain and discomfort, but avoids curing the underlying problem, then the disease will continue, even though we experience no pain, thus giving the false impression that the disease is diminishing. According to the latest research, here’s how the seven stages of disease progress. The first of the 7 stages of disease progression is low energy or enervation. The word enervation comes from the word energy, and energy is the essence of all life. Our whole existence depends on how much energy is available at any given time to fuel our trillions upon trillions of chemical reactions. Every one of those trillions of reactions requires a massive amount of energy. Enervation: is a condition in which the body either is not generating sufficient energy for the task it must perform or the tasks the body must perform are greater then the normal energy supply can cope with. When this occurs the body becomes impaired and generates even less energy. When less energy is available for bodily functions, including metabolism, toxins from metabolic waste start to build up in the cells of the body. A small amount of toxins in the body is normal. Problems arise when more toxins are being produced than eliminated. This toxification results in the further inability of the body to restore depleted energy, and the body starts to slow and shut down. Since energy is restored when we sleep, the first warning sign that we are becoming enervated is that we will become tired and sluggish or require naps during the day or more sleep at night. Another sign that the body is in distress (trying to heal itself) is the loss of appetite. This loss of appetite can be seen through all stages of disease. Toxic build up, or toxemia occurs when un-eliminated toxic material from trillions of metabolic process starts to saturate the blood, lymph nodes and tissues of the body. The body recognizes this situation must be remedied and attempts to cleanse itself and initiates a flushing-out of toxins. The first sign of increased build up of toxins in the body is mere discomfort. The second sign is further drain on the body’s energy supply, as the feeling of tiredness and sluggishness becomes more pronounced. When the level of toxemia has reached the point where such toxins must be eliminated, the next stage of disease develops: fever. Fever is the universal sign that insufficient toxins are being removed. To prevent structural damage, the body increases its temperature to literally burn toxins. Fever is an activity of the body initiated for the express purpose of protecting itself. Metabolism is therefore accelerated by increasing the amount of heat available, thus enhancing the healing process. The heat from fever is necessary to accelerate the elimination of toxins. Fever acts as a catalyst, which causes the toxins to be diluted and pass into the blood stream to the bowels, bladder, lungs and skin for elimination. We can see fever in stages 2-7 of disease. The third of the 7 stages of disease progression is designed to make us more aware that toxins are rising to a higher level and is an attempt to convince us to remedy the situation. Irritation isn’t usually so painful that we want to call the doctor, but it is so uncomfortable that it becomes harder to ignore. Irritation is a condition in which the body sets its defensive mechanism into motion and speeds up its internal activities in order to unload stored-up toxins. The two most common signs of irritation are the urge to urinate or have a bowel movement. If these two signs are ignored, it becomes so painful that your body will relieve itself. 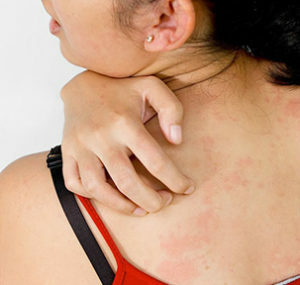 Another warning sign of irritation and toxemia is itchiness. The skin is largest organ of elimination, made up of 4 billion pores. So, if any part of the body becomes itchy, it is a classic sign that toxins are being removed. At this stage of disease progression, one may experience nausea, queasiness, tickling of the nose, uneasiness, or feel short-tempered, aggravated, and nervous. We feel irritated because our bodies are in a state of irritation. It’s just that simple. Depression, anxiety, continued worry, stress, headaches, and even minor aches and pains are symptoms. Difficulty falling asleep or staying asleep become challenges… and then, of course, there’s the red flashing warning sign – weight gain. When the effects of enervation, toxemia, and irritation are ignored long enough, and the toxic residue that started the whole process in motion builds to an even higher concentration, the fourth stage of disease progression results. The fourth stage of disease progression is inflammation. Inflammation is the body’s most intense effort to cleanse and restore itself. When this process occurs, you become keenly aware that a problem exists, for it involves pain. Pain is designed to protect us and warn us when our health and perhaps very existence are at risk. Pain is the body’s most effective warning sign. By the time of inflammation, the toxins in the system have usually concentrated in a particular organ or area of the body – for a massive eliminative effort. The area becomes inflamed due to the constant irritation from toxic material. When inflammation exists, we are diagnosed with one or more of the “itises.” “Itises” used at the end of organ-words means inflammation. 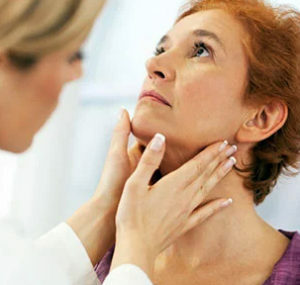 Swollen lymph nodes or glands are the bodies’ most obvious warning signs that a cleansing of built-up toxins is overdue. At this point in the 7 stages of disease, if corrective actions are taken to lower the toxic levels, the body will clear itself of these harmful toxins. 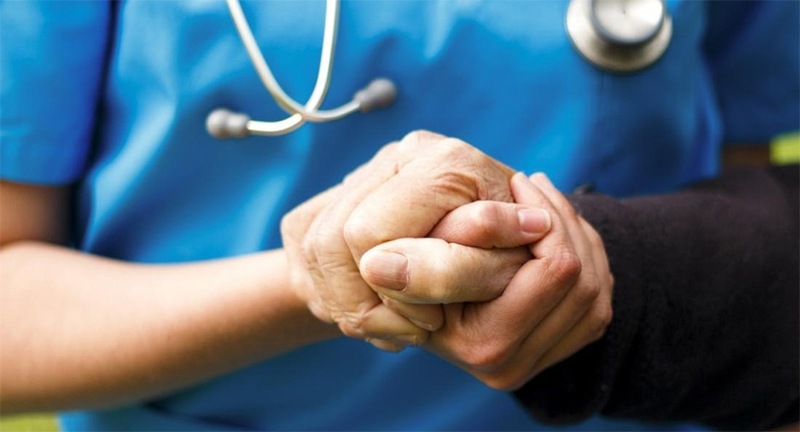 However, people often don’t take action at this critical time, and some will take drugs – which suppress the painful symptoms, without addressing the underlining problems. Therefore, toxicity will continue to increase until secondary organs become affected – not only by the primary toxins, but from the additional toxins created by the drugs. Stage four of disease progression is a pivotal juncture. Action taken at this point determines whether or not one is going to recover and return to a state of health or fall deeper into the disease. The fifth stage in the 7 stages of disease progression is ulceration. 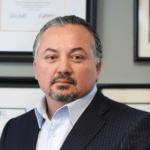 Ulceration occurs when the body has been under assault for extended periods of time and massive amounts of cells and tissue are being destroyed. Ulceration is intensely painful because of exposed nerves. For example, a stomach ulcer – a hole in the stomach – can be literally opened up, releasing toxins directly onto the exposed nerves. 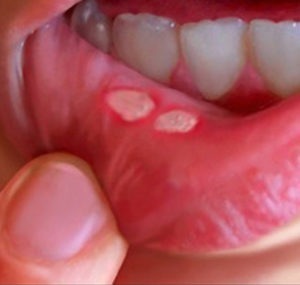 Another form of ulceration is canker sores on the mouth. While the body may use an ulcer as an outlet to rid itself of toxins, the body will still heal the ulcer if the level of toxemia is sufficiently lowered. Induration is a form of scarring, which is hardening of tissues or the filling- in of tissue where it has been lost, such as with an ulcer. Though painful, this hardening has real direction and purpose. The toxic material that is threatening the well-being of the body is encapsulated in a sac of hardened tissue. This is the body’s way of quarantining toxic material, holding it in one place so it will not spread freely throughout the body. The sac is a type of tumor and is often diagnosed as cancer when, in fact, no cancer exists. Induration is the last stage during which the body is still in control of its cells. If the destructive practices that brought matters to this stage are allowed to continue, cells will start to go crazy. They will become parasites, living off whatever nutrients they can obtain, but contributing nothing to the body in return. This constant poisoning has at last alerted the genetic encoding system, and cells become wild and disorganized. This condition is called cancer. 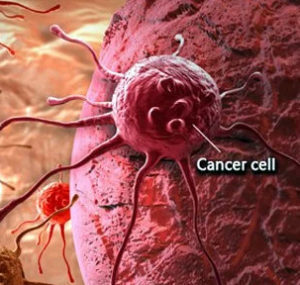 Cancer is the end point in the long evolution of disease progression, and if the original toxins that caused it remain in sufficient density, stage 7 of the stage of disease is usually fatal. At this point, body vitality is at a very low level. Cells are no longer under the brain’s control, but are multiplying wildly in an unorganized manner. In the best of circumstances, employing a healthy regimen, cancer can be arrested and reversed; it usually takes a diligent, concentrated effort to eradicate. Thus, cancer is often the toxic and unnatural end to toxic and unnatural living. Some people cannot avoid the disease, but many can avoid or postpone it. As terrible and dreaded as the cancer is, the essential fact is – in the first stages – cancer is usually a matter of choice! If this makes sense to you, reach out to me, today. Together we can stop the disease progression and reverse it. Schedule a no obligation phone consultation to review your current status and I will recommend a workout plan for you.